Are you workplace compliant with your fire marshal training procedures for your company? If not then online fire marshal training can be completed at a time that is convenient to you, using a video based training system offered by Online Fire Marshal Training. 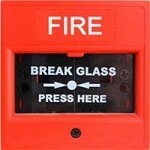 They offer many online fire training programmes and their courses are available with approval by RoSPA. Once you have completed the simple registration process you will be able to start your online fire marshal training at once. This course is an ideal training platform for office staff, school teachers, factory workers, care staff or anyone who would like to gain current and up to date fire marshal certification. The course fee for training is £25 and this includes all certification, which can be downloaded and printed on training completion. You can register and start training, either by clicking the fire alarm button above, or this “Register Now” link, but for a detailed description of the course content and structure please see their website: Online Fire Marshal Training.